Leonardo da Vinci-Fiumicino Airport (FCO) is the international facility that serves Rome, Italy and also is the home to flag carrier Alitalia. It's a busy airport, so here are some tips to help you navigate the facility whether you are arriving or departing. Opening in 1961 with two runways, Fiumicino Airport is located at 30 kilometers (18 miles) from the city center. It has four terminals to handle its 40 million passengers a year. Terminal 1 handles domestic flights, Schengen Area and Alitalia medium-haul flights, along with domestic and Schengen Area flights operated by KLM, Air France, Hop!, Air Europa, Luxair, Compagnie Aérienne Corse Méditerranée S.A.E.M., Etihad Regional-Darwin Airlines, Air berlin, Niki and Air Serbia. Terminal 2 handles domestic flights, Schengen and non-Schengen by Easyjet, Wizzair, Blue Air, Sun Express, Air Moldova and Meridiana, except for flights to Olbia and long-haul flights operating from T3. Terminal 3 handles domestic flights, Schengen and Non-Schengen. 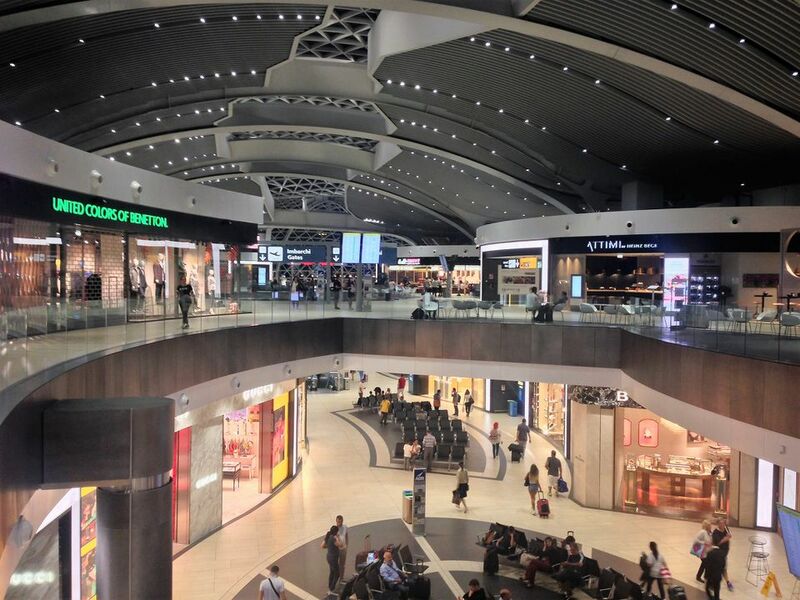 Terminal 4 handles direct flights to the United States and Israel operated by American Airlines and Israeli airline companies. Travelers can check on the status in real time at the airport's website. There are six security checkpoints at Fiumicino Airport with 66 x-ray machines points to check passengers. The airport enlarged its security areas to cut back on bottlenecks of passengers. Customs can be a fairly rapid process--a quick glance at your passport and you are done. But depending on the volume of travelers and the peak of seasons, the process can be delayed substantially. If you need to stay near the airport, consider the Hilton Rome Airport Hotel, which is connected to Fiumicino's terminals via a covered tunnel. It also offers a free shuttle bus to downtown Rome that operates eight times a day. On the arrivals level, there are shuttles and taxis to get to the city center. The Tren Italia train is also an option to get to Rome. Get there via the departures level by taking the pedestrian overpass that will take you to the train station. The non-stop Leonardo da Vinci to Rome Termini is about 10 Euros ($11). The slightly slower, but frequent regular service is approximately 5 Euros ($5). When departing FCO, if you are checking luggage, prepare for a long wait and travelers are advised to show up at least three hours before an international flight. The airlines like to put security stickers on passports, so avoid a delay and make sure you have one before proceeding to your gate. Once you get past check-in and security, take a breath and enjoy your final Italian coffee at one of the airport cafes. Or go shopping to pick up last-minute gifts from stores like Armani and Gucci, along with outlets that sell duty-free Italian-made products.